2011 Toronto Pro 202 Prejudging Wrapup with Shawn Ray & George Farah "Its a deep line up, man!" Thread: 2011 Toronto Pro 202 Prejudging Wrapup with Shawn Ray & George Farah "Its a deep line up, man!" these 202's look very good.. Damn, I am getting Farah and Fahkri confused! hhahaha yes, Mike, theyre both gurus!! Satisfaction is good. Pride is better. Good luck Shaun Tavernier ! Come on England !! That's the best Lou Joseph has ever looked. WOW! The top 3 finishers all look great. IN fact, they could beat many of the bigger guys easily. Tavernier and Edwards look insane, it can go to either of them!! deep lineup? lol that's the worst pro show in years. The Last 202 Show,What a shame! He is as wide as he is tall. 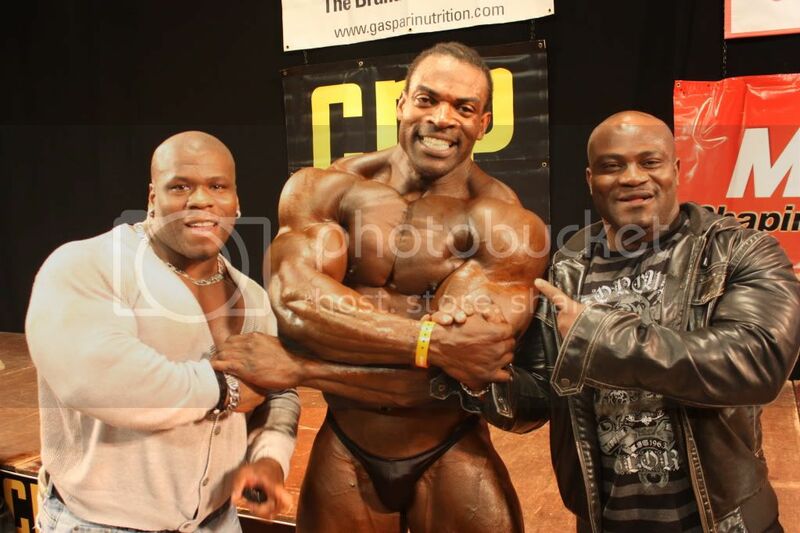 In October at the Ukbff finals he was silly big.